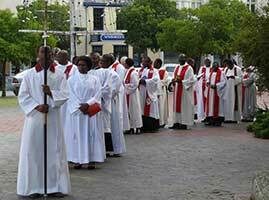 Welcome to the Grahamstown Cathedral Website! Come in, browse around, make yourself at home! 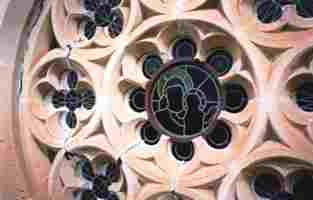 From contact details of the Cathedral staff to lists of the music at the next Sunday service, interesting information about our beautiful building, and lots of news (and archived news) of People and Places connected to the Cathedral family – it’s all here. 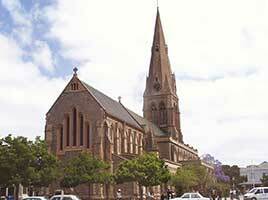 Click on ‘Videos’ on the side menu to hear some of the music of Grahamstown Cathedral. 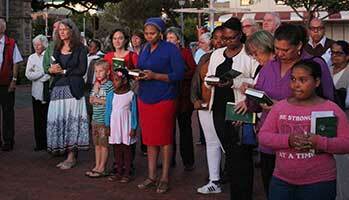 Articles from this website may be quoted if author and Grahamstown Cathedral Website are acknowledged. Michael Künz of Growing the Church in Cape Town set up this site for us. 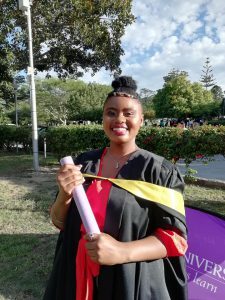 Congratulations to all Cathedral students, past and present, who received their degrees at the Rhodes Graduation this April. 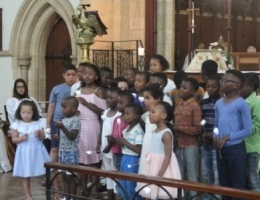 Ogone Mokobe – and of course, the Revd Dr Percy Chinganga, who is on the staff of the Cathedral as well as the College of the Transfiguration. well done, everyone! It is with great sadness that we have been informed of the passing away of Michael (Mike) Künz on Saturday 6 April 2019. Michael worked in Growing the Church’s Media Department. 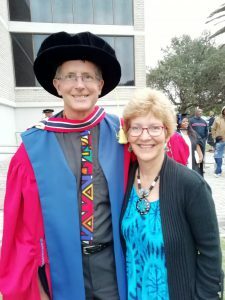 He developed websites for many dioceses, parishes and organisations in our Province, including the Diocese of Grahamstown, and this website. We give thanks for his life and work. For a death notice and tribute by Fr Trevor Pearce, click here. 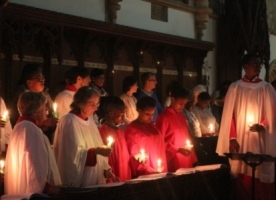 For details of Holy Week and Easter Services, see our Forthcoming Events page. (For updates on the situation in Mozambique and descriptions of the Archbishop’s visit to the disaster area, see “Visiting the Diocese of Niassa in the wake of Cyclone Idai” (11 April), “Bishop McKenzie’s grave has drowned” (12 April), and “Displaced and living ‘like wild animals’ – a neglected place where only the Church is visible” (14 April). We want to assure the affected Dioceses in Mozambique – the Diocese of Lebombo led by Bishop Carlos Matsinhe and the Diocese of Niassa led by Bishop Vicente Msosa – of our prayers. 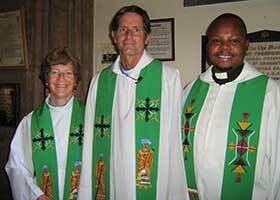 Please pray also for the Dioceses in Malawi and Zimbabwe in our neighbouring Province of Central Africa which were affected. I appeal to Anglicans across Southern Africa to donate generously to ACSA’s Disaster Relief Fund in order to provide relief to those in devastated areas. Parish Councillors: Katie Appollis, Rodney Bridger, Theodore Duxbury, Siyabulela Fobosi, Ian Meiklejohn. 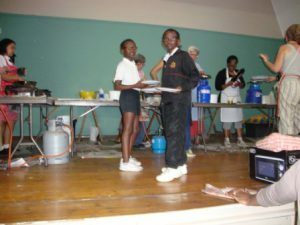 Additional ex officio members: Ayanda Dabengwa (Cathedral Student Ministry), (CR Sisters). 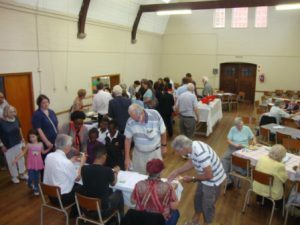 Our Representatives at the Diocesan Synod in May will be Theo Duxbury and Tandiwe Gabavana. To read the Reports which were tabled, click here. 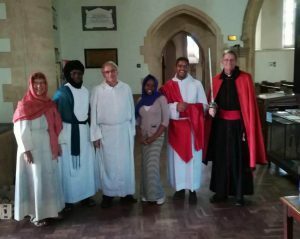 Statement of Welcome and Affirmation adopted by the Vestry Meeting. 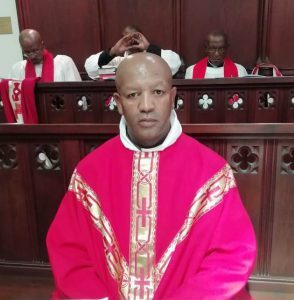 Saturday 16 March was a joyful day, when self-supporting Deacon Lunga Dongwana was among 17 to be ordained Priest by Bishop Ebenezer Ntlali in the Cathedral. We rejoice with him, and pray God’s blessing on his ministry. 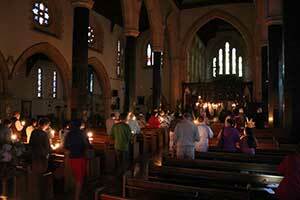 The following evening he celebrated the Eucharist in the Cathedral. 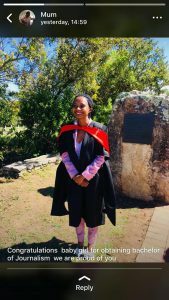 On Sunday 10 March the Dean admitted Tandiwe Gabavana as our Youth Intern. The Youth Intern programme includes giving work experience, training in administrative skills, exposure to governance, personal growth and development, and discipleship. 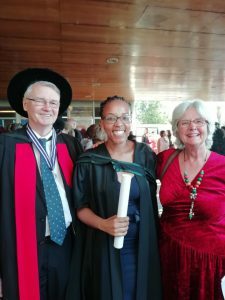 We give thanks for Tandiwe, and pray for her in this new role. 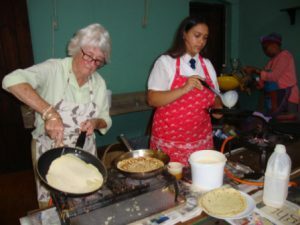 On Shrove Tuesday, 5 March, St George’s Hall was a hive of activity as pancakes were tossed, customers queued up, and friends sat down to enjoy pancakes together. Congratulations to Sally Terry and her team! 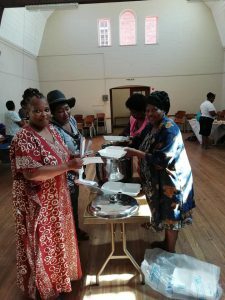 Congratulations to the Cathedral Mothers’ Union branch, who held a successful and enjoyable fundraising morning on Saturday 2 March. Exciting news! 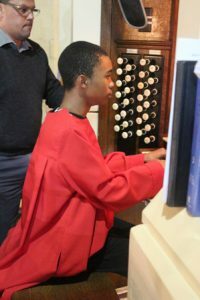 We give thanks to God, and to a generous group of donors, that Bayanda Mthetho, our Grade 10 organist, has his organ lessons funded for the whole of 2019! Bayanda is a 15-year old Graeme College learner, and a member of the Makana Choir School. He began piano lessons at the age of 11, and has recently passed the Grade 8 Trinity piano exam, with the astonishing mark of 97%! 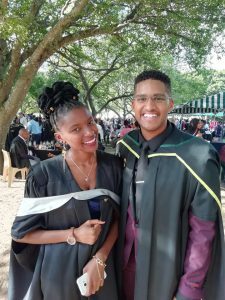 Since the beginning of 2018 Bayanda has been learning the organ with Jovan Heynsen, the Director of Music at DSG and St Andrew’s College. 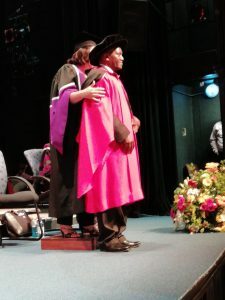 This video clip of Bayanda playing part of Bach’s Prelude No 5 in G Major was recorded at a service on 25 November 2018. 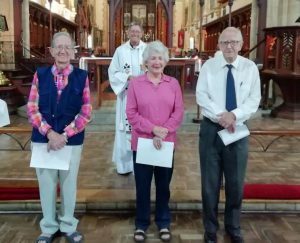 On 20 January 2019 the Dean awarded citations to three long-standing volunteers at the Cathedral who had recently stepped down from their duties, Andrew Tracey (left), Penny Whitford and Clive Whitford. Read the citations here: Andrew Tracey; Penny Whitford; Clive Whitford. Congratulations and many heartfelt thanks to these wonderful people who have given so much in the service of the Lord! We believe we are called to be a vibrant, attractive, diverse, welcoming, all age community of people who seek to follow Christ. The Cathedral’s ministry seeks at all times to be obedient to the call of God through Jesus Christ. The Reports tabled at the Annual Vestry meeting on 17 March are to be found on our Publications Page. Read Bishop Ebenezer’s letter to the clergy and people, dated January to March 2019. 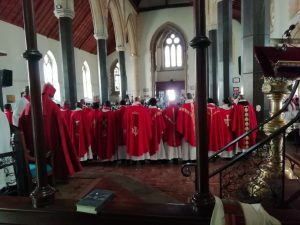 In an Ad Clerum dated November 2018, Bishop Ebenezer addresses the important issues of Safe Church, Pastoral Standards and the Archbishop’s Commission on Theological Education. 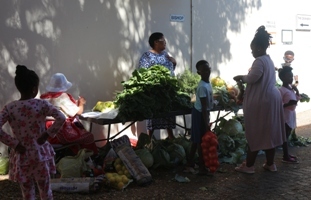 Daily prayers of intercessions and thanksgiving for the Diocese of Grahamstown for March 2019. 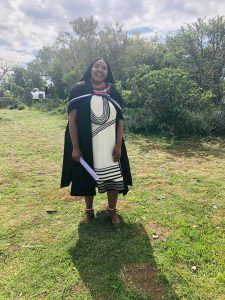 Umbuliso, the newsletter of the Diocese of Grahamstown for October-November 2018 can be downloaded as a pdf. Visit the Archbishop’s blog. His latest posts describe his visits to flood-stricken areas of Mozambique. 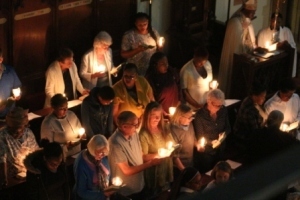 2 March 2019: A message recorded for the #Justice4Vernie rally held in St George’s Cathedral, Cape Town, to honour the memory of Vernie Petersen, a former church worker and later a senior civil servant, whose stand against corruption before his untimely death has been highlighted at a commission of inquiry into government corruption. 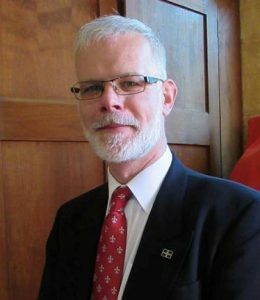 8 February 2019: The Archbishop speaks on the forthcoming Lambeth Conference, calling on bishops to “express your difference”. 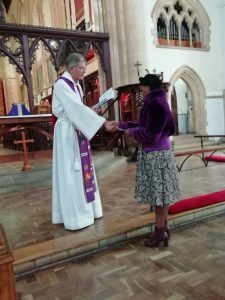 4 December 2018: To the Laos – to the People of God. 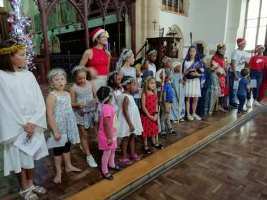 The Archbishop’s Advent letter. 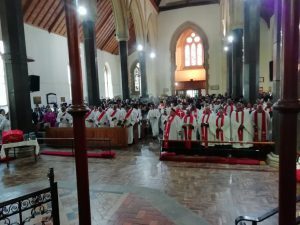 11 November 2018: Homily by Archbishop Thabo Makgoba, at the Cathedral of St Paul, St Helena, at the Consecration and Installation of Dale Arthur Bowers as the 16th Bishop of St Helena. 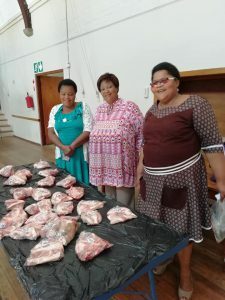 14 November 2018: Of Dinuzulu, Boer prisoners and the slave trade – Blogging from the South Atlantic. 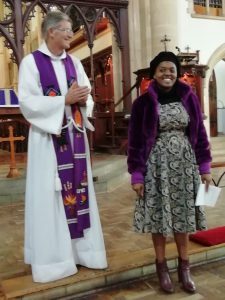 26 October 2018: ‘Women destined for God’s Purpose‘, an address to the 2018 Provincial Conference of the Anglican Women’s Fellowship. The latest Growing the Church Update Newsletter for December 2018 is now available. Two books by the retired former Bishop of Port Elizabeth are available at the Cathedral Parish Office, 108 High Street Grahamstown/ Makhanda @ R150. In ‘Who do you say I am?’ Bishop Eric refers to the same question that Christ asked of his disciples, “Who do you say I am?” In doing so, he demonstrates that in each of the many and varied chapters of his life, he has discovered more about the God he has served so faithfully. In ‘Waymarks for the Way’ Bishop Eric gives us a handbook for our journey through life. 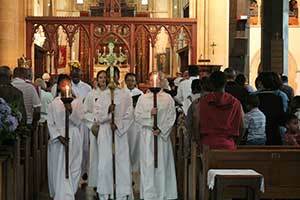 For further publications of the ACSA and the Diocese of Grahamstown visit our Publications page.